Interesting conversation the other day with a new selective invoice finance company that are looking to offer a similar funding model to the one used in the car crash repairs sector, but to a wider range of industry sectors and trades. We deal with a number of car body shops, and because the debt is considered solid i.e. paid by an insurance company, documented and signed off by the car owner and authorised by the insurer, they tend to follow a model where they purchase the invoice outright, at a discount e.g. 100% prepayment with say a 3% fee deducted. Good news for sectors outside of crash repairs, the funders we are speaking to are seeking to introduce that model to other trading sectors i.e. 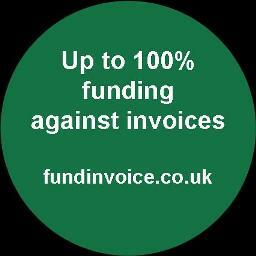 100% prepayments against signed off transactions, where the debtor is strong.